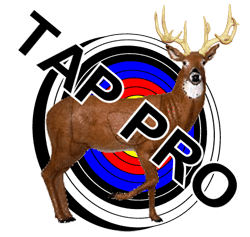 Well, its late season and the cold weather is “forcing” some guys to hang the bow up til next October…. not this guy! I love hunting in the snow and the cold weather used to bother me, but not any more thanks to my secret weapon, the Heater Body Suit. When I first purchased a Heater Body Suit, I didn’t tell anyone! I felt a little embarrassed to have “been taken” by a product that looks an extreme gimmick, but now, I don’t care. When my hunting buddies see me with it, I just let them laugh because damn it, it works. When you use the Heater Body Suit, worrying about what to wear when the temperature dips is no longer an issue. I was famous for wearing one too many layers of clothing and getting damp and overheated walking to my stand. The Heater Body Suit has resolved this issue and allows me to walk to my stand in light clothing without getting sweaty. Once in the stand, I can slip into the Heater Body Suit and stay warm. In the stand I wear a knit face mask and light rag wool gloves. I am able to keep my binoculars and rangefinder around my neck and ready for use. There are booties that you put over your boots to keep mud and moisture out of the main part of the garment. The booties also add an extra layer of insulation over your feet. There are internal shoulder straps that hold the HBS up when you unzip and pick up your bow. You are probably thinking that is a lot of extra movement. All I can say is that I have killed several deer out of the Heater Body Suit in weather that would have normally swayed me to stay home. 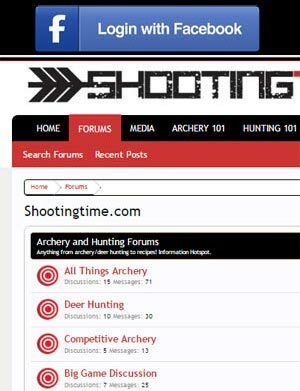 When I first used it, it took a couple of hunts to get used to. 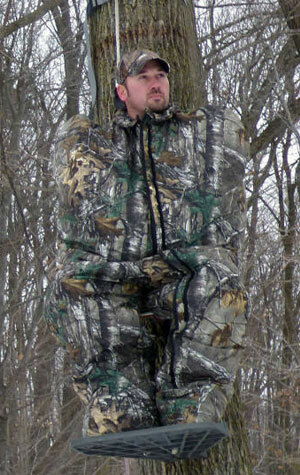 After you have mastered the usage of the Heater Body Suit, it will become a staple in your winter hunting equipment. All it takes is a little practice and using the Heater Body Suit system becomes second nature. When you buy your Heater Body Suit (and you should), practice using it at home prior to taking it to the woods. 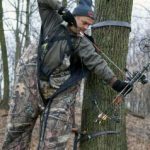 When practicing, do so while wearing your safety harness as you are tethered to a tree. 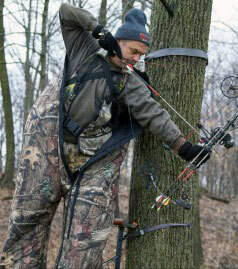 If you are one of those hunters who do not wear a safety harness, then please do not even consider a Heater Body Suit. While wearing a Heater Body Suit, your hands will be warm and cozy but will be unavailable to grab something in the event of a fall. Please wear a safety harness. Let’s talk about cost. For the record, I hate to spend money. I am the definition of cheap. My hunting rig is several years old and my target set up is older. However, I love to bowhunt and hate to be cold. Spending the cash on this up front appears to be expensive but when using the Heater Body Suit, you no longer need an expensive outer shell or jacket. The money spent (currently $329.95) balances out and most importantly, comfort in extremely cold conditions is achieved. Being able to stay in the tree another hour or two can make all the difference when it comes to a successful hunt. During late season, the extreme cold weather no longer keeps me at home. I now look forward to the hidden gem of extreme cold weather hunting. I have been very satisfied with my hunting success in conditions that would have normally forced me to stay home. I purchased my Heater Body Suit eight years ago late in the deer season, and haven’t been cold since. If and when I wear it out, I promise, I will be buying another. If you have any questions or comments let me know. Stay warm my friends! For more information on the Heater Body Suit, visit their website at http://heaterbodysuit.com/. The Heater Body Suit takes a little getting used to, but when you do, you won’t be found in the extreme cold without it. We recommend using the HBS.